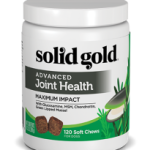 The maker of the effective superfood supplement have introduced Once Daily, a multi-function daily dental chew for your dogs! 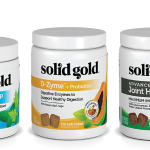 All of the goodness of the original Missing Link formula now packed in an easy & fun to serve treat perfect for pets on the go! An ISO is available for Fall 2017. 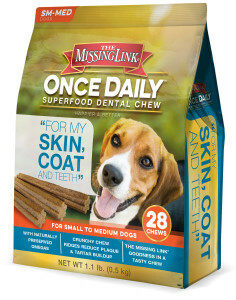 The Missing Link recommends the Once Daily Chews be merchandised in the supplements or dental products aisle. 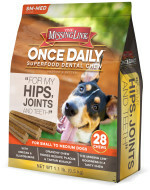 We welcome your questions to determine if Missing Link Daily Superfood Dental Chew’s or our full range of Missing Link Supplements belong in your store.